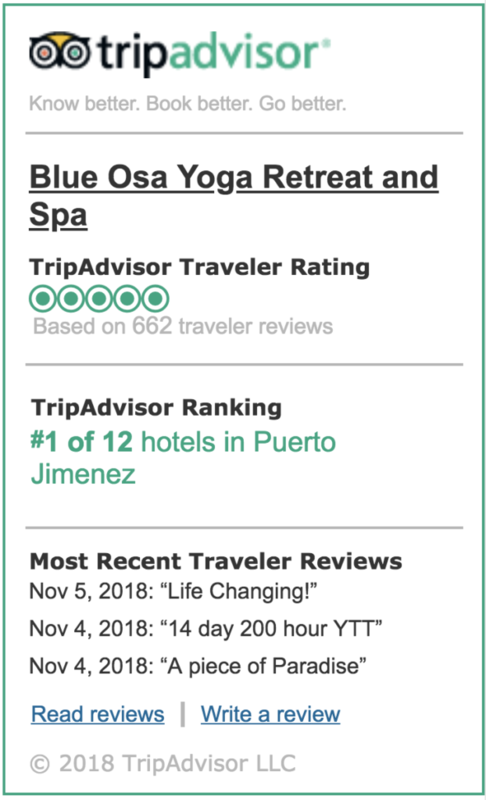 If you are looking for the ultimate relaxing and rewarding getaway, then look no further than choosing a refreshing yoga retreat for your next vacation. Both travel and yoga allow us to take a break from our often stressful and busy lives in order to reconnect with our body and mind. There is no better way to bring a bit of harmony to our lives than to combine both yoga and travel. The perfect yoga retreat will leave you feeling revitalized and allow you to discover who you truly are! 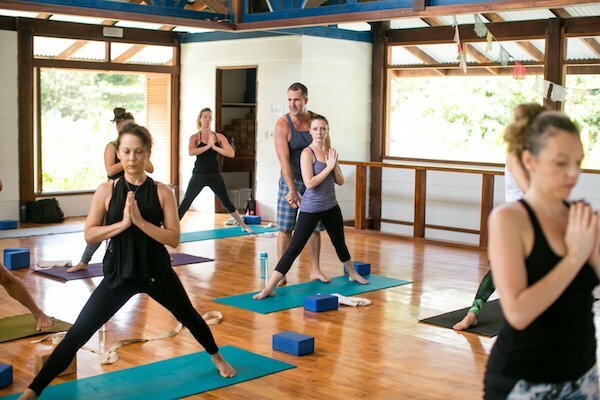 The key to maximizing the many benefits a yoga retreat can offer you is to select the one that is the best fit for your unique self. We have created a guide to help you choose the perfect yoga retreat that is right for you so you can be on your way to the soothing getaway you deserve. The first step to booking your much deserved yoga retreat getaway is to select an appropriate time that suits your schedule. You want to make sure you choose a time where you won’t be stressed or worrying about things that are going on back at your job or regular daily life. You also need to decide how much available time you have for your getaway. Are you in need of a simple short weekend for a bit of healing to reignite your passion for life or do you think you need to escape for a week or more? Yoga retreats offer escapes that range from just a single day to several weeks. If you find you currently have a lot of commitments, don’t let that stop you from at least taking a weekend break. More time doesn’t necessarily equate to a more fulfilling experience, so be assured that even a short yoga retreat can rebalance your life and get you back on track. The next step to finding your perfect yoga retreat is to select the destination. If you don’t have a lot of time, you may want to find a retreat that is closer to home or one that simply involves a short flight. Alternatively, you may wish to seek out a destination you have always wanted to visit if you find yourself with extended free time. Choose a destination that suits your personality. If you love the sun and tropical beaches, search for a yoga retreat in Hawaii, or Costa Rica. If you love the mountains or more rugged landscape, maybe think about booking a flight to Iceland or Canada. Yoga retreats can be found all over the world, so there is no need to settle on a destination that doesn’t suit your tastes. The most important thing when choosing a destination is to select one where you know you will be relaxed and happy. Selecting a destination you are both interested in and comfortable with, will enhance your yoga experience and allow you to experience new and exciting things you have always wanted to explore. Just like people, yoga retreats come in all shapes and sizes so to speak. You will find that many yoga retreats have themes, so you want to select one that offers the benefits you are seeking. Some retreats may focus more on life coaching and personal growth whereas others may be more about health and fitness. 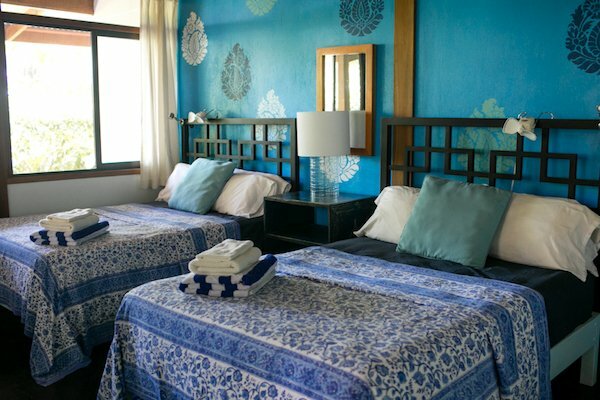 Sizes of retreats will also vary, so it is wise to inquire about how many guests the retreat caters to. If you do not like large groups, select a smaller intimate retreat. If you are seeking companionship and looking to find friends, maybe look into a retreat that caters to large groups. Selecting a retreat that is true to who you are means that you will be meeting like-minded people who you will be more able to create bonds with. Some retreats are extremely luxurious while others may be a bit more rustic. Are you looking for an off-the-grid camping experience in the wilderness or do you favor a private beach hut with modern amenities, running water, and electricity? You must also think about your meals. Some retreats may be strictly vegan while others may focus on fasting or juice cleansing. Some retreats may not offer certain comfort foods or allow alcohol, so you want to choose a retreat where you won’t have to forego your normal comfortable diet if you do not wish to. THINK YOU’RE READY FOR YOGA TEACHER TRAINING? We Created This FREE 5 Part Series So You Can Discover For Yourself! You want to be sure that the yoga retreat you select offers a teacher that aligns with your needs. 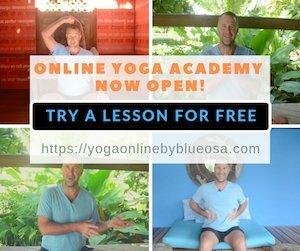 Each yoga instructor has a unique teaching style, so you want to be sure to find one you are comfortable with. Ask for recommendations from your usual yoga instructor you trust at home or ask if they run a yoga retreat themselves. Don’t be afraid to search reviews and testimonials to be sure you are selecting a qualified instructor and maybe look into the instructor’s personal website and social media to see if their teaching style resonates with you. Some retreats and their instructors may impose more strict guidelines when it comes to how much yoga you are expected to perform. Others will allow you more free time to explore the culture and attractions of the destination you have chosen. Whether you are into Bikram Yoga, Ashtanga Yoga, or Iyengar Yoga, you can be certain that you will be able to find a yoga retreat and instructor that will allow you to enjoy the yoga you prefer. 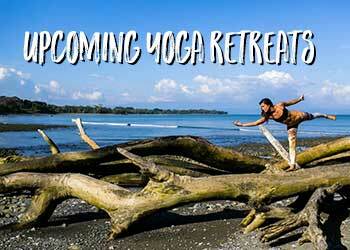 Yoga retreats cater to almost any budget, so you can be sure there is one that will fit yours. You must ask yourself whether you favor quality over quantity or whether you can forego certain luxuries in order to enjoy a longer getaway. You often get what you pay for so it is wise not to simply book the cheapest yoga retreat. Many yoga retreats are all-inclusive, meaning you can easily stick to your budget without any hidden fees or surprise expenses. You can also reduce costs by choosing dorm-style accommodation as opposed to booking a private room. Remember to factor in the cost of flights. Long international flights will, of course, be more expensive than short ones. You also need to decide whether your yoga retreat holiday will simply be an escape for yourself or whether you and your partner or even entire family need a bit of rebooting. Traveling with trusted family or friends will allow you to share your yoga experience while challenging each other to grow. 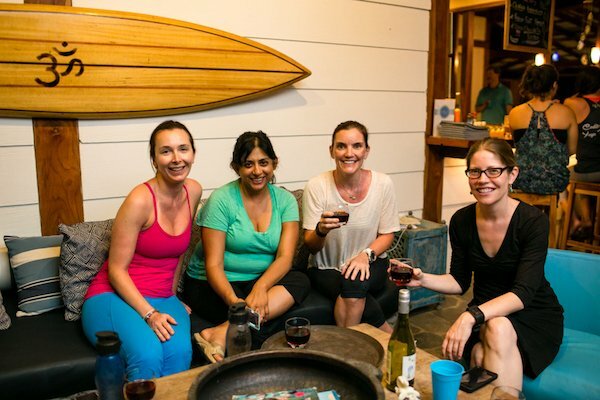 You need not worry, however, if you find yourself traveling solo since you can be assured your yoga retreat will provide a supportive community where you will most likely develop long-lasting friendships. 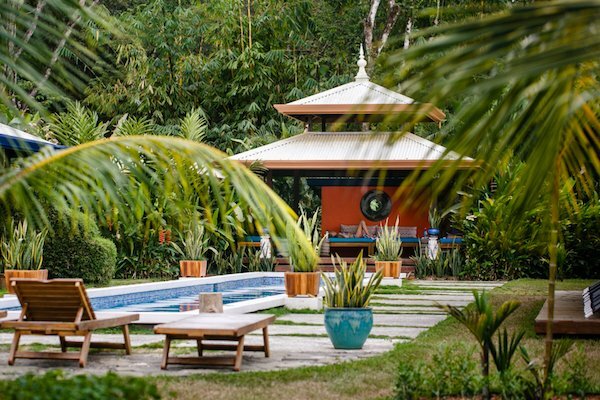 Learn More About Blue Osa’s Yoga Retreats + Trainings In Costa Rica! At Blue Osa, we practice yoga because it makes us happier. It’s that simple. We think it will make you happier too! So we’ve put together a list of the top ten questions to ask yourself before signing up for a yoga immersion experience to help you get the most out of this life-altering experience.